Congratulations to all our children who took part in the many sports events this month. Y3 took part in the Dance Festival at Burton Freshwater, dancing to Surfin’ USA by The Beach Boys. After a busy morning of dance under the theme of environment with other schools they enjoyed an afternoon of bowling. 32 children took part in the Cross Country Relays at Sir John Colfox School. All our children ran superbly bringing home awards for both Y4/5/6 teams and Y3 teams. Congratulations to them all and grateful thanks to all our parents who supported and transported our children. Saturday 9th March saw 12 of our children taking part in the Tag Rugby Festival at Bridport Leisure Centre. They only lost one game, drew one and won every other match. Our children were awarded medals for 2nd place. Well done and a special thanks to Richard Evans and Ben Bailey for all their hard work training our children. On Tuesday 26th March, 12 Y3 children attended the Cricket Festival at Sir John Colfox School. They learnt lots of new skills in the glorious sunshine and learnt to play Table Cricket in the Sports Hall. A thank you again to our parents who supported our children at the event. On Wednesday 16th January 38 of our KS2 children attended the SJC Cross Country Event. 10 of our new yr 3 children took part for the first time. Anna came in third for the girls and Harry raced in third for the boys. The first 2 girls and boys back home came second overall in the year 3 race. Congratulations Anna, Olivia, Harry and Finlay. In the Yr4/5/6 girls, Anna raced home, coming in first in a hard run race with a magnificent time of just over 5 minutes. Next home was Scarlett, Lulu, and Summer. Congratulations of all of our girls. The boys’ race saw Owen running home in a fabulous fourth position closely followed by Will. All of our children were a credit to themselves and the school. Well done all. Well done to our hockey team who won the Quicksticks Hockey Tournament at Sir John Colfox School in Bridport yesterday. 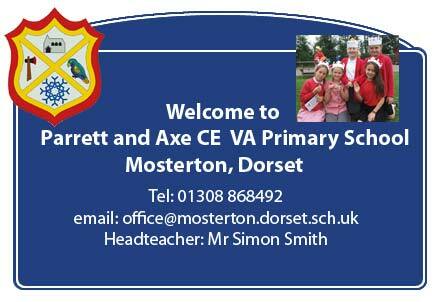 Parrett and Axe is proud to be part of the Dorset Leadership Academy Ambassador award scheme. The scheme is aims to produce young sports leaders who will be able to support in the following areas. For the second year running we are pleased to announce that we won the Gymnastics Shield in the Key Steps Competition. Our gymnasts’ achievements included 2 gold, 1 silver and 2 bronze medals in the floor and vault. Well done Parrett and Axe gymnasts! 15 year 5 pupils had a fantastic time at Weymouth Outdoor Education Centre yesterday. As you can see from the gallery below they spent lots of time on the water learning how to sail as well as rock climbing and wall climbing. Well done to children from Parrett and Axe who represented us in the Colmers Cup! What a fantastic achievement it is to win a football tournament. Congratulations to our Year 3 B team, who were the second team home at the West Dorset Primary Schools’ Cross Country Relays. They were awarded medals and a cup, in school, by Mrs Irene Fairley. 17 Year 5/6 children took part in the DSSA year 5 and 6 West Dorset Swimming Gala at Hardy’s School in Dorchester. Well done to our Yr 3 children who represented the school at Burton, Freshwater Dance Festival, entertaining everyone with their line dance routine. Well done to our tag rugby team who took part and came second in the Tag Rugby Festival on Saturday 10 March. 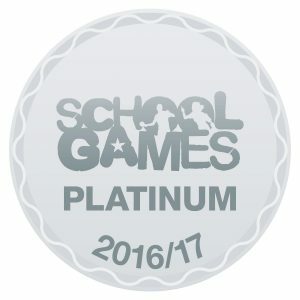 Parrett and Axe are proud to announce that we have now achieved the School Games Platinum award. The award is part of the School Games Mark, administered by the national charity Youth Sport Trust and we are one of only 104 schools in the country to receive it.